If you were looking for a deal on the Motorola’s 2013 flagship, the Moto X, Best Buy has you covered with models from Verizon, AT&T and Sprint all dropping to $99 on contract. This is the 16GB version of the phone, but it’s $100 cheaper than any of the carriers are selling it for at their own stores. It’s also cheaper than Amazon is selling it for, with most of their discounts only hitting the $149 mark. 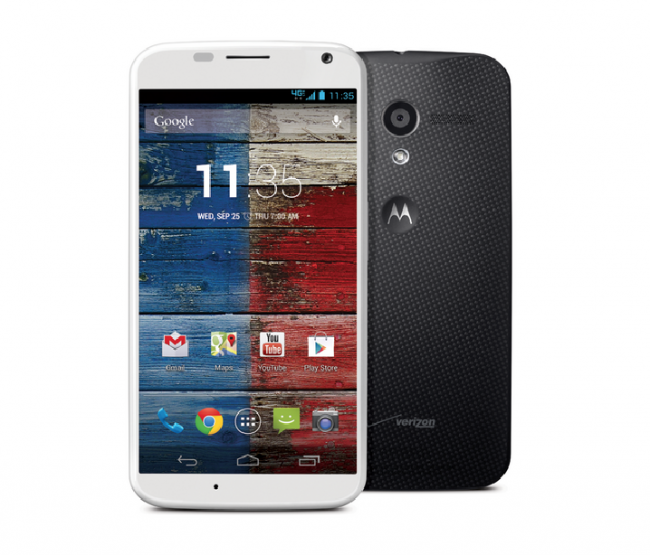 Well, you can jump into a Sprint Moto X for $79.99 if you are a new customer. This Best Buy deal covers both upgrades and new accounts. As you all know, we had mostly positive things to say about the device in our Moto X review even if it only has a 720p display and a processor that (at least on paper) leads you to believe it’s a year old. The phone feels fantastic in hand, gets solid battery life, and now has an improved camera thanks to a recent software update from Motorola. It’s too bad this didn’t pop up a week ago when Verizon was letting customers upgrade and keep unlimited data. Maybe Best Buy will price adjust for you.